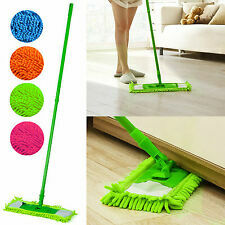 Superfine fiber mop, it has strong adsorbability. 2 Pc Mop Cloth. Convenient storage, saves the space, does not occupy the land, reduces the bacterium multiplication. material: superfine fiber. Dehydration rate: 90%-100%. Compact bucket with wringer. 2 microfibre, 100% polyester fringes. 11 Mop Heads New Yellow push top. When you place the mop in the drainer hand pressure can be used to make the mop spin to efficiently wring out excess water. The mop can be locked to prevent it spinning during use. 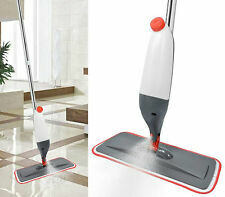 Ideal for use on wooden floors, marble floors, tiled surfaces etc, this mop is manufactured with a 360°. 100% Microfibre. 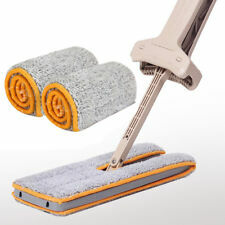 - Deep cleansing microfibre cloth removes dust and dirt with ease. 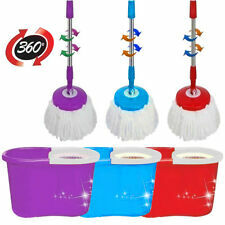 Long Pile Microfiber Flat Mop With Extendable Handle. - Extendable handle 76 cm - 127 cm. - Use wet or dry without the need of harmful detergents. 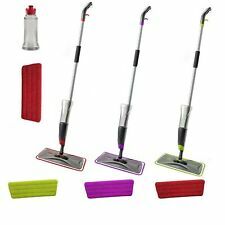 · Discover a more efficient way to clean your floors with this spray mop with pads which eliminates the need for a heavy water bucket. 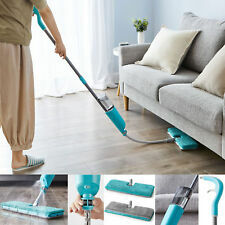 The mop is lightweight but durable, with a microfibre and mop head which enables the mop to be used on a variety of different surfaces, leaving your floors brilliantly clean with maximum shine.